C = Celebrate Christ! (To celebrate is to observe or commemorate with ceremonies or festivities) Here are a couple of things that I do to celebrate Christ. 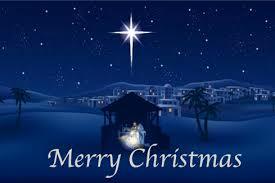 Go to a Christmas Service, Christmas Party or Christmas Play, observe the Christmas lights and remember that Jesus is the Light of the World. Sing and listen to Christmas Carols. Send out Christmas cards. H = Have Hospitality! (Hospitality is defined as the friendly reception and treatment of guests or strangers) Have people over to your home or go visit others. Practice being friendly, warm and generous. R = Reflect and Remember! (Think about ALL that God has done this year!) Praise God for His goodness, mercy, protection, provision and blessings toward you and your family) Read God’s Word and recall what He did before and what He will do again. Reflect on the fact that Jesus sent His son to save the world! I = Imitate Christ! (To imitate is to follow as a model) Jesus Christ is our model. Act in such a way that brings glory and honor to God. Treat others with love, kindness and gentleness especially, those who are a challenge to love. S = Share Something! Share a meal, share gifts, share the love of Christ with someone who may not know Him. Share your home or your time with someone. Share an encouraging word with someone who is going through a challenging time. T = Take Time to Talk! Pick up the phone and call someone who you have not spoken to in a long time. See how they are doing, reconnect. M = Make Merry Memories! (Our memories are the things that we have retained) Do something fun and take pictures! If you have lost a love one reflect on the memories in a good way. Thank God for the memories! A = Appreciate Life! Yesterday I attended two funerals in one day. I was reminded of how much of a blessing it is to be alive! Thank God for your life! The fact that you are still here means God has a purpose and a plan for your life. S = Sabbath Time! Take some time to rest and refuel your body! Be still and know that He is God! ps If you would like to automatically receive this message please click on follow and type in your email address. Thank you for reading! Merry Christmas! This was just what I needed. This week spoke directly into my situation and what I had been working through! What an inspiration. All that we have to be thankful for and what GOD has blessed us with to share with others. It is truly a blessing! To be alive is to know that GOD still has a plan and purpose for my life. I’m looking forward to making memories and observing the sabbath rest this week. Thanks for sharing.